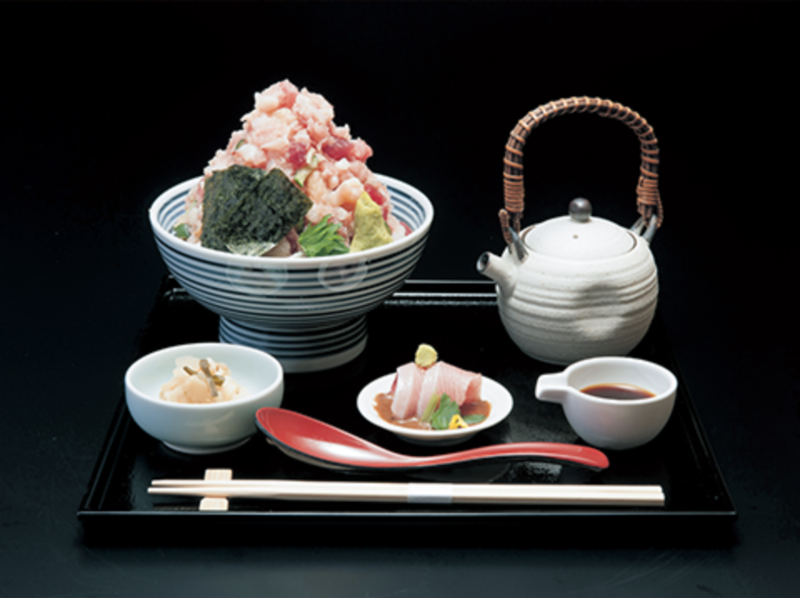 Seafood, in general, is something that tourists have such high expectations when they visit Japan. We, Japanese people, love sushi and sashimi too. It is, however, not the only way we appreciate this kind of food. I have been in living in Tachikawa. I live in a Oakhouse apartment called Tachikawa Garden Town. On this post, I’d like to introduce my favorite seafood bowl restaurant really close to where I live. Seafood bowls are the one of the most popular (inexpensive) ways to enjoy seafood. Technically speaking, it is basically the same thing as sushi or sashimi. 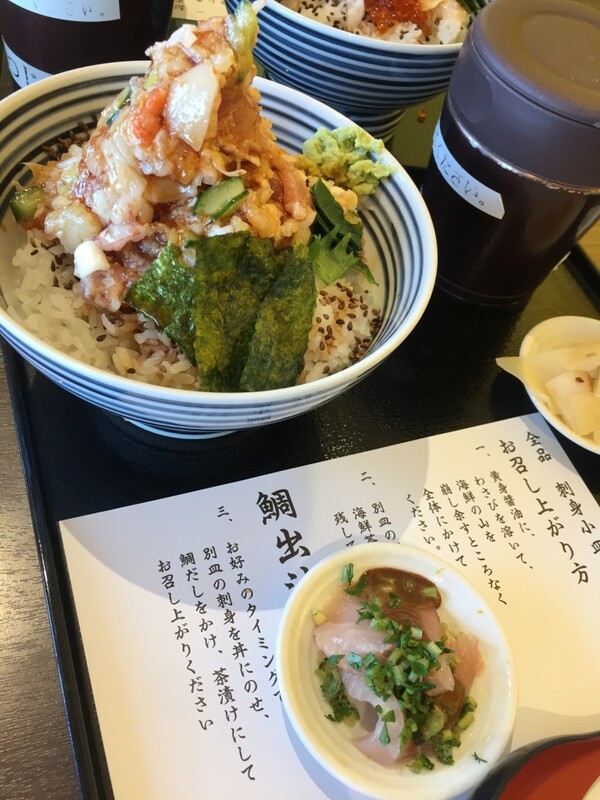 It's a mixture of several kinds of raw fish and shellfish served on a rice bowl. It sounds simple but the taste can be extremely complex. I would not say sushi and sashimi are simple taste. Well-prepared sushi can be complex as well. Even the best sushi in Japan is still the beauty within a single fish. It's a beauty in the single note in music whereas the beauty of seafood bowl is a harmony of many notes. It's not fair to compare sushi and seafood bowl becuse you cannot compare a single music note and a symphony, if you know what I mean. The next question is where we should eat seafood bowl at. I have a perfect place to recommend. Tsujihan (つじ半), is a restaurant only serves their original seafood bowl. There are many seafood restaurants in Tokyo but their bowl is really amazing. The original restaurant of Tsujihan is located in Nihonbashi, basically in a walking distance from Tokyo Station. 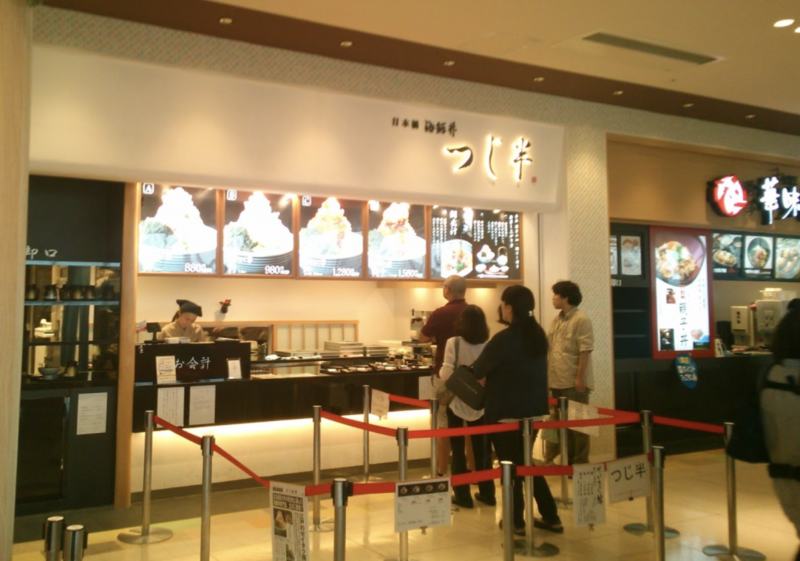 There’s a restaurant in Tachikawa as well, located inside the food court of Lala port, one of the biggest shopping mall in the area. From Tachikawa Garden Town which is where I live now, it’s extremely accessible too. Take a monorail at Shibasaki Taiikukan station, 5 mins walk from Garden Town, and head straight to Tachihi Station which is the station connected to Lala port. What’s so unique about this seafood bowl is that it’s served not just with a bowl but also with a fish soup. You’re supposed to eat only half of the bowl first, then pour the fish soup into the bowl and eat them all together. First of all, the bowl is really good as it is. It comes with some soy sauce and you pour it over the bowl and you don’t need anything else to flavor the food. Pouring the fish soup changes the taste of the bowl dramatically. The fish soup is very well prepared and it’s so good that you would feel like you want to drink it just by itself. After going through this unique two-stages meal, you would not believe this bowl is only 980 yen. It’s like eating two different meals for a single meal pricing. 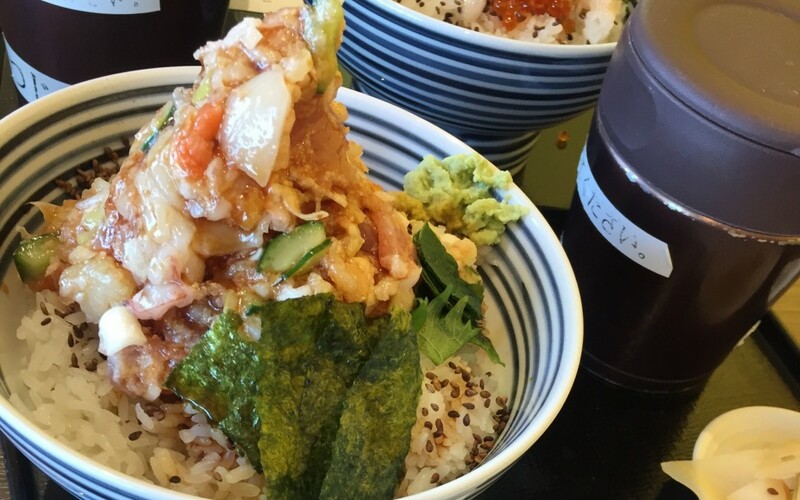 You might find it strange that the bowl comes with a little plate with a little sashimi on it. It’s not for eating right away. You’re supposed to keep it until the moment you pour the fish soup in the bowl. I love this kind of little details. Once you know how Tsujihan’s seafood bowl tastes like, you would know what I mean when I said sushi and Sashimi are very different food. It’s not about which is better or not. If you have a chance to come around Tachikawa, Tsujihan is a must-go Japanese restaurant, in my opinion. Hi I'm Shima. I currently live in a share house in "Oak house Kichijoji 2". It's located in the area of Kichijoji ( It's been voted to the No.1 area where people in Tokyo wish to live since 2004). Interested in living in Japan? Whether you’re into Japanese culture, language, or modern pop culture, it’s frustrating to know how little information out there about the actual life in Japan. On this series of blog posts, I’d like to introduce useful tips when you actually start living in Tokyo and hopefully in Oakhouse. Let me know if you are interested to know more about life in my share house and Kichijoji! Message me here [ guafly2002@gmail.com ] for any questions. House manager T2 2019.01.25 FORO Eifukucho Hot pot Party! OAKHOUSE-FUSSA 2018.08.24 Summer in Fussa!! Hair Monster 2019.04.11 Cherry Blossom Hunt! Shibuya Information … 2017.10.13 ☆Event☆ Oakhouse International Summer Party! !